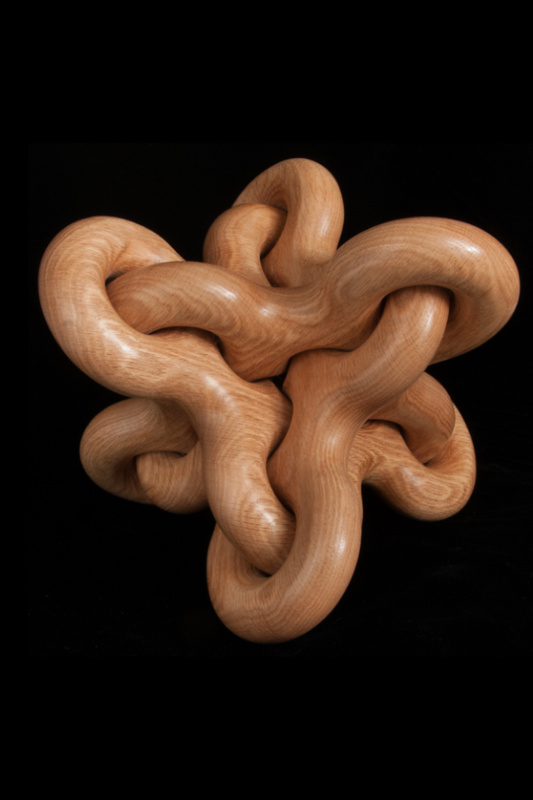 Hopf Knott resulted from the desire to capture one set of Borromean Rings within another. The Hopf Links only appear and would not exist but for the connections between the inner and outer sets. As those familiar with the Borromean Rings know, the Rings themselves are not linked!